Help save America's Oldest Bookstore! Leo Atkinson is my guest blogger today, and he has an important mission: Saving the oldest bookstore in America, which is in Bethlehem, Pennsylvania. As you will read, the store is in danger of being turned into a Barnes and Noble College Bookstore. Read on to see how you can help Leo save this historic site. 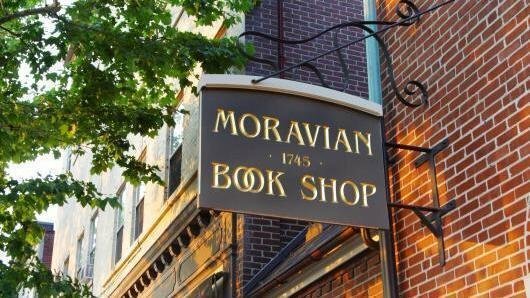 Moravian College recently bought the independent Moravian Book Shop with plans to turn it into a Barnes & Noble college bookstore, which will end the 273-year-old business. Please stand with us in telling them "NO!" The Moravian Book Shop has anchored Bethlehem’s historic downtown for generations and has built itself into the premier location for books, gifts and Christmas decorations in downtown Bethlehem. Despite what some people have said in the news, after a few up and down years, the Moravian Book Shop is in a good position in terms of its core business. In the last year we have streamlined our operations and modernized the store’s back-end systems. We had almost $2 million in sales last year and we are on pace for an even better 2018. In fact, any financial difficulty stems from the Moravian Church’s Provincial Elders’ Conference (PEC) and the Moravian Book Shop’s Board of Directors decision, over the protest of lower management and employees, to take out bad loans to open a location in Allentown in 2015. The Allentown store lost money for two years and when it closed last year the bad loans became due. Despite the Bethlehem location’s strengthening position we were not able to absorb the entire cost of the bad loans and so the PEC decided to negotiate in secret to sell the store. As it currently stands, the Moravian Book Shop will be taken over by Barnes & Noble (the national bookstore chain) and Sodexo (a multinational food services company) to provide a college bookstore for Moravian College. All of our staff will be laid off, though we were told we could interview for jobs at the new store, and the mission of the Moravian Book Shop will be lost forever. Moravian College is a great school, indeed, my brother and many of my close friends are alumni. And, the Moravian College students deserve a place to buy their textbooks, but that need does not have to erase 273 years of Bethlehem’s history. I think there are other avenues worth exploring, but if the sale from the Moravian Church to Moravian college is inevitable, the college has a choice as to who will operate the bookstore, including giving the current management a chance to show what we are capable of. I ask you to please tell the college that local small businesses are important for the health of our historic downtown and the entire city. We need you to sign the petition on Change.org and contact Moravian College (information below) to tell we do not want huge national and multinational corporations controlling our downtown! The astonishing part is that they were traditionally published and all made it to the New York Times Bestseller List and a few of them have been sold to movie studios. Where were the editors when these manuscripts were being considered. Who would approve them as written? What happened to novels with compelling characters that the readers care about, with plots that keep them turning the pages and get them lost in their worlds? Legal thriller author and writing instructor William Bernhard (the Ben Kincaid series) has numerous guidelines for creating a blockbuster. One, he says, is readability—creating a narrative that is “unputdownable.” With these books, I had to force myself to plod on through boring paragraph after boring paragraph. And what about character arcs? The characters should go through some change by the end of the book. These did not. Things happened despite them, not because of them. They didn’t solve their own problems. I’m going to be revealing the plots of two of the books I read, so be forewarned. The novel our club originally chose was The Great Alone, by Kristin Hannah, a prolific author. This one made me so angry that I had I not been reading it for the group, I would have quit after the first chapter. The main female lead is a wimp, and nothing turns me off more than a weak woman. Around page 250, I was surprised to see the plot finally kick in. Those first 250 pages could have been condensed into 25-50 to keep the story moving. The problem with the last 200, though, is that the real plot is rushed. What was in these pages should have been the entire book but stretched out and expanded. I’m not sure why the editors at St. Martin’s Press didn’t see this and do something about it. And what about adding tension and introducing intrigue? In The Husband’s Secret, by Liane Moriarty, there was a secret, but it was presented amid endless pages of backstory. The wife, Cecelia, found a letter her husband had written years before that was to be opened only in the event of his death. But John Paul was still very much alive. Holding the letter in her hands was the first line of the first chapter. 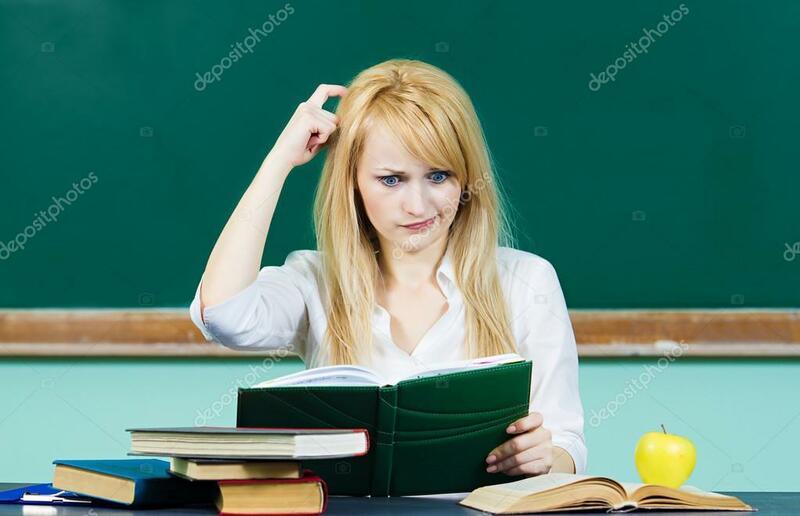 Then the rest of the 15-page chapter was backstory, with only the last line once again addressing the letter and what Cecelia should do with it. The next two chapters left this plotline altogether and introduced two new characters along with much more backstory. Eventually, we find out that the letter is John Paul’s confession that when he was a teenager, he murdered a girl. Cecelia is horrified, but instead of realizing that she had just become an accessory after the fact, she rips the letter into tiny pieces and decides to say nothing. After all, she reasons, John Paul is a wonderful father. How can she turn him in, even if he is a murderer? She has now committed a second crime--destroying evidence. There is also no depth of character. As a reader, I didn’t care about any of the people in the story except for the dead girl, Janie. This made reading the book even more torturous. As for conflict and controversy, this book had none. The characters take the easy way out and do so in a boring way. Rachel is Janie’s mother, and she hates Connor, a coworker at the school where she is employed, thinking he is the killer. She dreams of this man’s demise. Yet, when Cecelia breaks down and tells her that John Paul is the real killer, does Rachel transfer her hatred to him? No. She decides she can’t hate him because he’s handsome. She thinks that she should invite him over for tea and find out what her daughter’s last moments were like. Then the author intrudes, explaining that it doesn’t matter that John Paul doesn’t go to prison because Janie died of an aneurysm anyway. None of these characters face any consequences. Rachel deliberately tries to run down Connor with her car but hits Cecelia’s young daughter instead. Even though the daughter survives, she loses half her leg, but everyone believes it was an accident, so Rachel is not held accountable. John Paul doesn’t go to prison, and Cecelia doesn’t get in trouble for destroying evidence. Where is the justice for Janie? Apparently some of these authors’ other works are of higher quality, but they certainly missed the boat with these two. But again, because I made the commitment to the club to read through this drivel, I should get some credit in purgatory. I have enjoyed plenty of terrific women writers, such as Amy Tan, Jodi Picoult, Maeve Binchy, Anne Hillerman—the list goes on—who deserve to be on the bestseller list. But it seems that quality writing has nothing to do with being a bestseller. This does a terrible disservice to those great women—and men—who share that spotlight. I know I won’t be reading any more “women’s fiction,” and I’m not the only one in the book club who feels this way. A few of us intend to suggest that we read other genres, such as murder mysteries, historicals, spy novels, sci-fi—anything! I wish these novels had been as well-written as their cover copy. Perhaps screenwriters believe they can take these weak plots and turn them into something better for the silver screen. Since actors can put in the depth of character the books lack, perhaps they can keep these movies from becoming box-office flops. 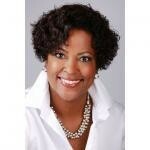 Guest blogger P. Lorraine Wigglesworth, CSP, is an international entrepreneurship and marketing consultant and Managing Director of Experiential Hands-on Learning. She is also the author of The 50-60-Something Start-up Entrepreneur: How to Quickly Start and Run a Successful Small Business. In this second installment of her three-article series, she discusses why entrepreneurs age 50+ have a high success rate. When you see the title of this article, some of you may be saying, 'what do you mean, how do I get started with social media, like it's some big secret?' To some, it might sound like a silly question as most people just dive into a platform and begin making posts. Now imagine if you will, that you're a 50 or 60-something new entrepreneur. Most of your posts have been on Facebook or and you might have contributed to the company LinkedIn page, but you never had to bother with setting these social media accounts for your business. With dozens of multi-million networks and big companies pouring millions of dollars into it, social media may seem daunting for any small business entrepreneur, even more so for fifty-somethings who haven't grown up with the Internet. But the amount of exposure social media can bring your business, and the opportunity it offers you to connect with your target audience and spread the word about your products or services cannot be ignored. Your competitors are already on Facebook, Twitter, LinkedIn, YouTube, and other social networks. In a world full of mobile devices and apps, having only a website and blog is no longer enough. Before getting started, you have to remember that social media is first and foremost social. While brands do use it to market themselves, sometimes using paid ads, the main benefit of being social is interacting with your audience. What's more, Google takes into account the buzz you generate on social networks when determining your search engine ranking, or how high you show up in the Google search results. There are many social networks, including Facebook, Twitter, LinkedIn, Google+, Instagram, Pinterest, WhatsApp, YouTube, and Tumblr. As a startup or small business, you may not have the time or the resources to be active on all of them, nor should you. An effective strategy is to start small. Most businesses start with #Facebook, #Twitter, #LinkedIn, and optionally, #YouTube. Depending on your target customers, some of networks will offer you better returns on your time spent on them than others. It's important to have a social media marketing strategy in place. Without one, social media can become a time-sink. Considering your audience, their needs, and what you can offer them. Decide what content would work best for them, whether it's articles, images, videos, short updates, how-to guides, and so on. Social media is very flexible, so you mix it up to keep things interesting. After creating your accounts, you have to personalize them. Keep personal and professional accounts separate. For your business, make sure to create a business page, rather than a standard profile. This will enable you to customize your page with a logo, business address and other details, as well as access a wealth of data about your fans and followers. Add a custom header and background to your business page, and try to keep all pages consistent in terms of design. You also have to determine how often you will post fresh content on social media - at least two or three times a week is a must, and ideally you want to post something new every day. Fortunately, you don't have to create all the content yourself. You can always curate or share content from experts in your industry, news sites, and other relevant sources, so long as you give credit to the creator and don't infringe any usage rights. The hard work begins after you've set up your accounts. Posting is not enough. You have to interact with your audience by answering their questions, starting discussions, organizing contests, and rewarding loyal followers with mentions, and possibly for ecommerce businesses with coupons, or freebies. You have to follow others, share their content, and join groups and discussions. On social media, if you are not active, you are invisible. Social media can also open up the door to new professional connections. Actively connect with your existing connections and also seek influencers, experts, and other notable people in your industry. Share their content and you may catch their eye. Last but not least, it's important to keep in mind that being on social media is no longer optional for a small business. If you are not "social," people won't be able to find your business as easily, and many will go to your competitors instead. That's why if you don't have the time to manage your social media marketing efforts yourself, it's better to delegate someone within your company to do it for you, or hire someone to help you with this. The key is to get started and not to shy away from engaging in social media. Trust me when I say it gets easier the more time you spend in doing some type of post. Now go and have some fun. It may seem like starting young is the best way to build a successful business, today more than ever. After all, when you're young you have nothing to lose and a lot of energy to spend, and since your whole life is ahead of you, you can afford to make mistakes and learn from them. But starting older isn't bad either. In fact, it turns out that for many people, starting at 50+ years is even better than starting young. Yep, you read that correctly. Some of the world's best-known and most profitable businesses were started by entrepreneurs past 50. Raymond Kroc was 52 and driving around the US selling milkshake machines when he started McDonald's. Pharmacist and physician John Pemberton was 55 when, in an effort to create an alternative to morphine, removed the "French Wine" from his French Wine Coca recipe and founded the famous Cola company. Colonel Harland David Sanders was 65 when he opened a small service station and started working with franchises, establishing what would later become one of the world's best-known brands: KFC. You could say "that was then, but things have changed." To some extent things have changed, in that it's now easier than ever for anyone to become an entrepreneur and start a business, which is why so many entrepreneurs are starting young. But here are some present-day facts that can inspire anyone past 50 to start a business. · Entrepreneurs over 55 are almost twice as likely to build successful businesses than entrepreneurs aged 20 to 34. This is true even for the highly competitive tech industry, where young entrepreneurs are thought to have a head start because they grew up with the Internet and 21st century technology. · The highest rate of entrepreneurial activity in the United States in the last 10 years was dominated by entrepreneurs aged 55 to 64. There are many reasons for this, including a new approach to retirement that technology and modern life makes possible, strong professional connections, and the ease with each almost anyone can start a business. · Startups that survive are more likely to be led by owners over 45 years of age, according to a 2004 to 2008 study based on 5,000 startups carried out by the Kauffman Ewing Institute. No less than 64% of the surviving startups were headed by older entrepreneurs. · People over 50 years of age have a greater potential to create innovative companies, products, and solutions. This may sound a bit surprising, but innovators do get better with age. Whether you want to create a startup in an industry you've worked in before or start afresh pursuing a passion in a new industry, the experience that comes with being 50+ can be a big advantage. · People over 55 years are more likely to launch a high-growth startup than those under 35. What's more, this doesn't seem to be localized to specific industries, but can be noticed across the board. Older entrepreneurs have the experience, skills, and insight necessary for them to guide their venture to success. They can better manage fears and expectations and have the balance and determinate to persist in spite of obstacles. Put together all these interesting findings and the message is simple: age is not only not an obstacle to becoming an entrepreneur, but being 50 or older increases your chances of meeting with success. While this insight won't make the creation of your startup any less easy, nor will it eliminate challenges, it can be a wonderful incentive for you to finally create the business you always wanted to have. I am a writer and editor who has published thirty books, around 200 articles in national publications, and two short stories. My recent titles include The Phantom Hunters: The Secret of Blackhurst Manor; Maximize Your Competitive Edge: 17 Secrets to Make Your Small Business Look Like a Fortune 500 Company; The 5 Biggest Writing Mistakes Small Business Owners Make and How to Avoid Them; How to Start and Run a Writers' Critique Group; The World's Easiest Guide to Using the APA, 6th Edition; and The World's Easiest Guide to Using the MLA, 2nd Edition. Taking complex information and making it easy to understand is my specialty. I was a regular contributor to high-tech magazines, such as PC Novice and Smart Computing. I have also been an editor for major publishers and several magazines and have appeared on television and radio shows. As a nonfiction book coach. I show entrepreneurs, coaches, and small business owners how to put their expertise into book form to increase their sales and maximize their visibility.